Colour is a topic that you will need to think about if you’re looking to create a brand around your business. Colour makes a powerful impression and sets the tone for how people feel about the business. Choose the wrong colour and you might repel the very people you need to attract. Alternatively if you get it right, you will make the business of promoting your wares so much easier. 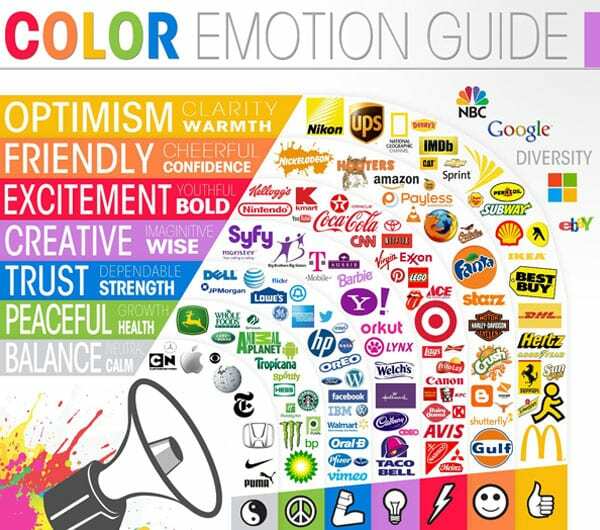 So, how exactly do you know which colours to choose for your brand? It can be a complex process. But the printing company fastprint.co.uk have highlighted what they believe – from years of working on print for small to medium businesses – are the most important guidelines. Your choice of colours can say a lot about your brand; this is because different colours combinations tend to invoke different emotions. If you take a look at the colour guide (pictured above), you’ll start to get a basic idea of how colours can affect the way your brand is perceived. For example, you’ll see that in general, the colour red is perceived to be an exciting, bold and energetic colour, which is why the colour is used by the likes of Coca Cola, McDonalds and Virgin (i.e. 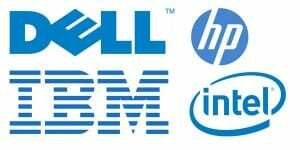 brands that embody an energetic, bold or exciting persona). On the other hand, blue tends to be perceived as strong or dependable, whereas yellow is perceived as warm and optimistic. Clearly then, colour can make a different when it comes to the way you/your brand is perceived, but how do you know which colours to choose? The answer: you choose colours that embody the essence of your particular brand. 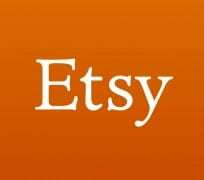 For example, you’ll notice that the Etsy logo is predominantly orange; this is because orange portrays a friendly, cheerful and confident image, which is what the Etsy brand is all about. On the other hand, Facebook mainly utilises blue in their branding. The reason for this is simple: blue comes across as trustworthy and dependable: two extremely important qualities for a service used by millions everyday (and also a service that millions of people trust with extremely private information). Take some time to think about how you want your brand to be perceived (e.g. trustworthy, creative, youthful, etc. ), and choose colours that embody those ideas. Typically, organisations make use of more than one colour in their branding, and you might have noticed that these colours are nearly always contrasting. 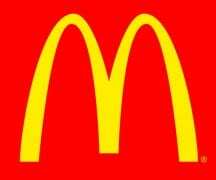 For example, take a look at the McDonalds logo. This logo makes use of red and yellow: two of the most contrasting colours out there. It’s the same story with the Etsy logo (featured earlier in the post); it makes use of orange and white, two more highly contrasting colours. 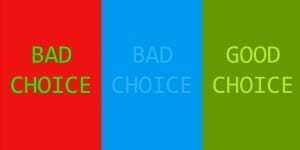 If you take a look at the image above, you’ll notice that out of the three choices, only one is labelled “good choice”; this is the choice that makes use of two highly contrasting colours. You’ll also notice that the other two (bad) choices are quite difficult to read, and certainly don’t have much of an impact. It’s extremely important that your brand has as much impact as possible; you want your brand to be bold and memorable, which won’t be the case if you use a poor colour combination. Plus, choosing 2-3 contrasting colours allows you to embody more emotions in some cases. For example, McDonalds makes use of red and yellow, which helps to ensure that the brand comes across as bold and exciting, but also warm and optimistic. No matter what industry your business is operating in, you can pretty much guarantee that you’ve got your fair share of competition. Even if you’re only running a small, home-based, local business, there will be others doing something similar, so it’s important that you do everything in your power to stand out from the crowd. Now, there are a lot of ways to do this (e.g. by creating a unique brand, by creating unique products, etc. ), but colour can also help. The best way to start is to look at your competition and make notes regarding the colours they’re using to brand themselves. More often than not, you’ll find the same colours cropping up time and time again (example: the use of blue in the computer industry – pictured above). If you find this to be the case, the solution isn’t simply to copy the competition, but instead, to choose colours that are completely different and unique. Apple is a company that took this exact approach back in the 80’s, as you can see from the image on the right. 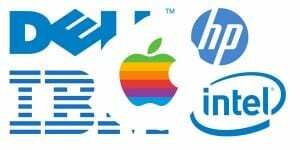 Rather than fitting in with the dull, corporate, blue identities that their competitors were using, they opted for a colourful, friendly “apple” logo instead. This helped them to stand out from the crowd (plus it also helped embody the “think different” aspect of their brand). So, look at the competition in your industry/area, and if they’re all using the same colours, choose something different and stand out. While this piece of advice may seem a little contradictory (given the fact that the multi-coloured Apple logo was used as a good example, above), it’s typically a bad idea to make use of too many colours in your branding. If you do use too many colours, you may end up with a (terrible) design like the business card on the right. 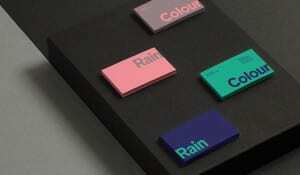 By making use of too many colours, the business card comes across as overwhelming, cluttered, and has no clear identity. It doesn’t connect with anyone in particular, and it gives no clear indication regarding the nature of the brand (i.e. what the brand is all about). However, each business card above makes use of only two colours, which helps them to come across as clean, professional, and highly readable. It also gives you an insight into the brand itself, as the minimalistic nature of the business cards helps to create a picture of a simple, understated brand with high attention to detail. 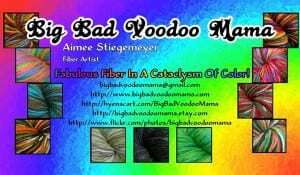 The bottom line is this: don’t use too many colours. Pick 2-3 and stick with them. If you fail to do this, your brand will appear inconsistent, and will give mixed messages/perceptions. 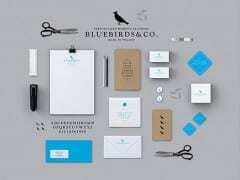 You can see a good example of how to do this above, from Bluebirds & Co.
You’ll notice that they make use of a consistent blue/white colour scheme throughout their printed marketing materials, which is a great start. But, they also make use of the same colour scheme on their website, bringing consistency to their online/offline branding and marketing efforts. It’s simple really: keep things as consistent as possible when it comes to your brands colours and you won’t go far wrong. Co-working Vs. homeworking: which is for you?